Cappy? Shovel Knight? Here are our picks for the Smash Bros roster. Super Smash Bros. was finally announced for the Switch earlier today, and you know what that means: It's time to speculate on new characters! There have been a bunch of good Nintendo games since Smash Bros. came out on the Wii U and 3DS back in 2014, so it's not that hard to pick a bunch of good ones. Aside from a few additions based on today's stream, there are characters we've been wanting to see for ages. 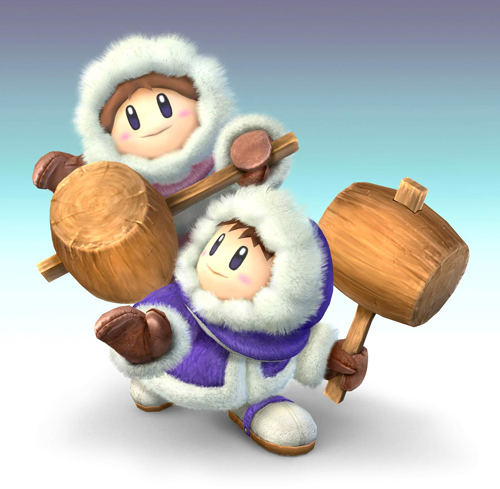 Plus, it's time for the Ice Climbers to come back! So here are our picks for the roster. Let's have some fun with this, shall we? Shovel Knight was originally a timed exclusive for the Wii and the 3DS. It got its start as one of the original "Nindies." So why not make Shovel Knight a member of the Super Smash Bros team? As you can see, I'm not alone in my sentiment. Obviously, Shovel Knight would translate readily to Smash Bros. He has a variety of attacks; can bounce off Shield Knight for the second attack, and can utilize gadgets for the traditional special attack. Barring that, I would love to see Plague Knight in Super Smash Bros. We all know Plague Knight is the best anyway. This is mostly for my girlfriend, who dearly missed the Ice Climbers in Super Smash Bros. for the Wii U. She tried picking up Peach instead, but it just wasn't the same. She wanted to sit on a ledge and harass people with ice shots. She felt incomplete without a pair of hammers to make everyone's lives miserable. The Ice Climbers were ostensibly left out of Super Smash Bros. for the Wii U because they were too hard to port over to the 3DS. Since that's no longer an issue, it only makes sense to have them make their triumphant return on the Nintendo Switch. My girlfriend's moment has come. Praise the sun! 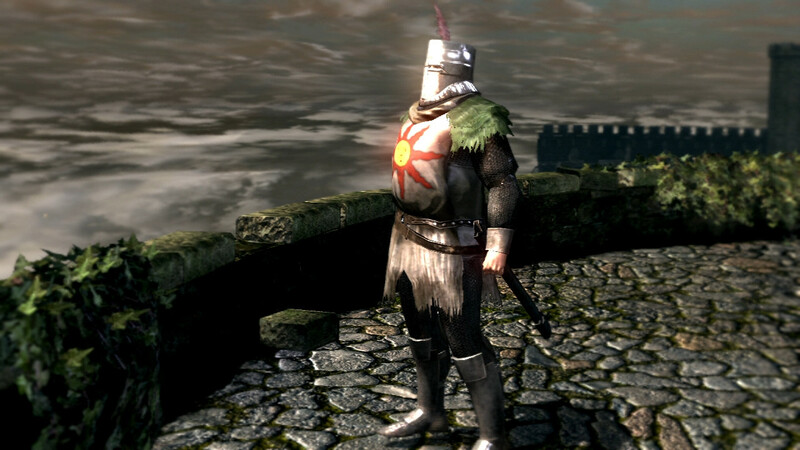 Solaire is getting his own Amiibo, so it only makes sense that he should make his way into Smash Bros. too. Super Smash Bros. has made it a habit of giving guest spots to characters from famous franchises, including Bayonetta, Mega Man, and even Final Fantasy, and Dark Souls is about as famous as it gets. It only makes sense in light of Dark Souls making its way to the Nintendo Switch in the near future. If not Solaire, then I'll totally accept the Gaping Dragon instead. 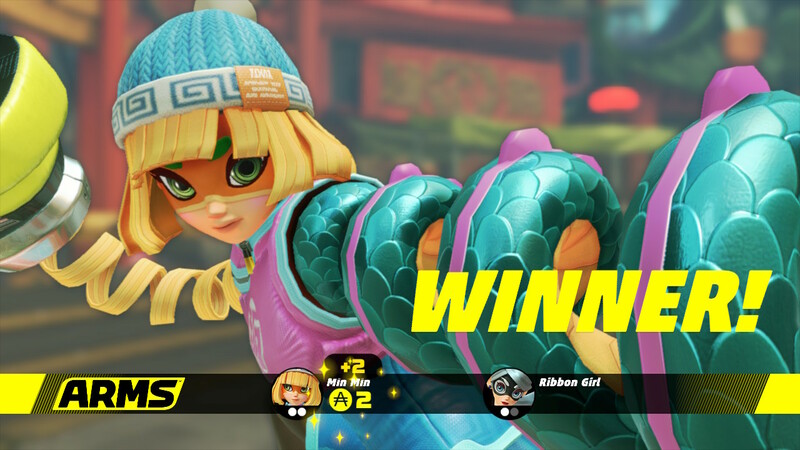 I'll accept any character from Arms, but Min Min is kind of my favorite. She's a Chinese martial artist who battles to promote her family's ramen restuarant, and her hobby is "eating mom's homemade ramen." Works for me! In all seriousness, Arms feels like it was made for Super Smash Bros. I mean, it's basically a fighting game itself. Arms wasn't exactly a big hit on the Switch—its concept was a little esoteric for most people—but it still deserves a spot on Smash Bros. for the Switch's roster. And Min Min is as good a choice as any. Pick any of the legendary heroes from Breath of the Wild: Revali, Daruk, Mipha, Urbosa. Heck, I'd be happy if they all made it on the roster of Smash Bros. Switch. Revali is my personal favorite, though. Yeah, he's basically Falco with a bow, but I love his bad attitude and wicked design. Of course, I expect a ranged character who can fly would rapidly become irritatingly overpowered. Just ask anyone who's ever had to deal with projectile spam from Toon Link. 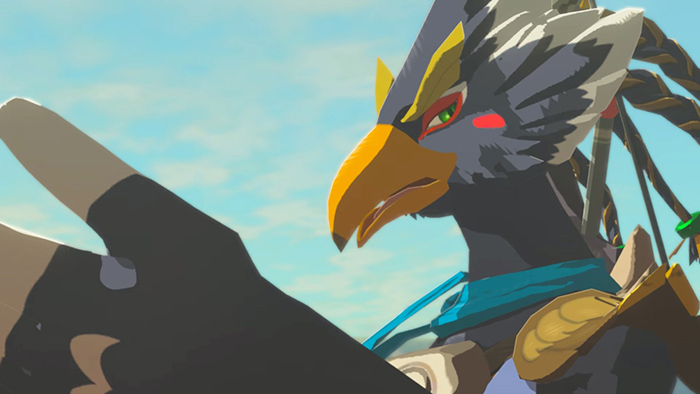 But I trust the Smash Bros. designers to do right by Revali. And if they can't fit him in, then there are three excellent alternatives to choose from. 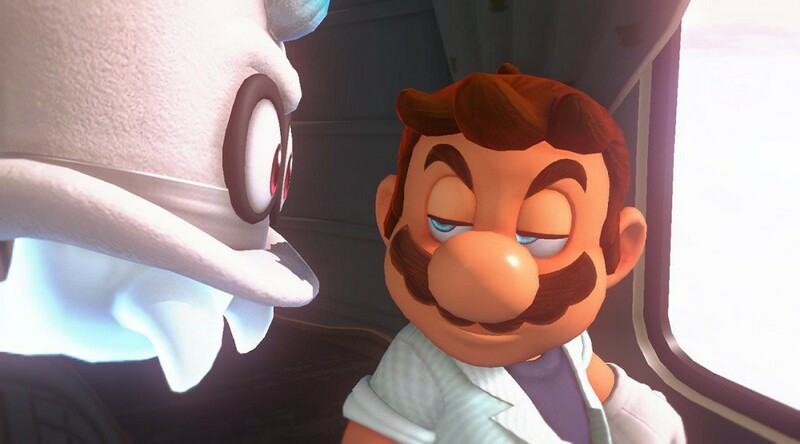 In the "interesting mechanics we'd like to see" category, there's Cappy. I imagine Cappy could be a character akin to Pokemon Trainer where you would shift between a light form, a medium form, and a heavy form. Cappy's Smash Ball could transform him into a large T-Rex that would rampage around the screen. Pokemon Trainer wasn't the greatest character ever, but he was kind of my main in Smash Bros. Brawl, so I wouldn't mind having that sort of mechanic back in Smash Bros. Switch. Cappy would be a fun and unexpected choice in that regard. There are a lot of obvious choices from Pokemon Sun and Moon for the inevitable Pokemon slot in Smash Bros. Switch: Golisopod, Lycanroc, Incineroar. But Mimikyu is my absolute favorite monster to come out of Sun and Moon, and the one I would most like to see in Smash Bros. 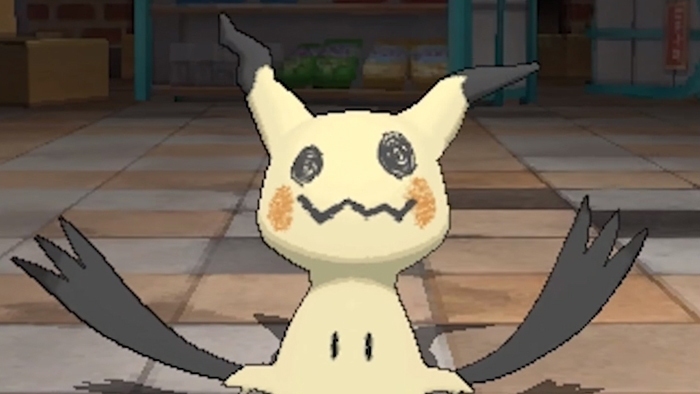 In case you forgot, Mimikyu is a shy Pokemon that looks vaguely like a Pikachu. If you attack it, its sheet absorbs the blow and collapses. I have absolutely no idea how this would fit into Smash Bros., to be honest. All I know is that Mimikyu is the cutest (and most tragic) of Pokemon, and I desperately want to be able to play as it in the new game. Tagged with Feature,	Fighting,	Nintendo Switch,	Super Smash Bros.